Inicio Archivo por categoría "Tours y excursiones"
Round trip transfer in private minivan from-to Frederic Chopin Airport in Warsaw. Book a round trip private transfer from/to Airport to your destination, service guaranteed once you make the booking. We will provide all information necessary to meet your driver at hotel or destination. Transfer in private vehicle from Warsaw Modlin Airport to City. Book a private transfer from the Airport to your hotel or destination, service guaranteed once you make the booking. We will provide all information necessary to meet your driver at arrival. Transfer in private vehicle from Warsaw City to Modlin Airport. Round trip transfer in private vehicle from-to Modlin Airport in Warsaw. Transfer in private minivan from Warsaw Modlin Airport to City. Transfer in private minivan from Warsaw City to Modlin Airport. Book a private transfer from your hotel or destination to Airport, service guaranteed once you make the booking. We will provide all information necessary to meet your driver at hotel or destination. Transfer in private vehicle from Warsaw Frederic Chopin Airport to City. Book a private transfer from the Airport to your hotel or destination, service guaranteed once you make the booking. We will provide all information necessary to meet your driver at arrival. 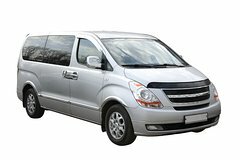 Round trip transfer in private minivan from-to Modlin Airport in Warsaw. Book a round trip private transfer from/to Airport to your destination, service guaranteed once you make the booking. We will provide all information necessary to meet your driver at hotel or destination. Transfer in private vehicle from Warsaw City to Frederic Chopin Airport. Warsaw Private Walking Tour. You will discover the capital of Poland – the old and the modern, the romantic and the business. For 800 years of its history, the city was in the hands of the French, Russian, Germans, therefore the sights of Warsaw bear the imprint of various cultures. Immerse yourself in the secrets of this amazing and powerful city. Duración: 2.5 to 3.5 hrs.